Other Names: Amalaki, Indian Gooseberry, Amla, Emblic myrobalan. Elements Applied: The plant is considered generally active, and each of its parts is applied in medicine, including seeds, fruit (fresh or dried), flowers, bark and root. Additional Info: In India the plant is linked with religion and customs. According to people’s beliefs the tree is a reflection of Mother Earth, which supplies people with food. Interestingly, its fruits are really nutritious. The tree’s leaves and flowers take part in religious customs in India. In Kartik the plant is seen as a symbol of purity. Active Components: Phyllemblin, an active element named thus by the Indian researchers, is the main potent element in Indian Gooseberry. Additionally, this plant includes tannins, gallic acid, Vitamin C, pectin, and tannins. Plant’s fruit is a good blood supplying remedy, and a medicine considered to produce a generally positive effect on the system. The percentage of vitamin C it includes is higher than that of oranges in 30 times. Used For: Fruit is applied to reduce fevers, fight constipation and boost urination process. When unripe, the fruit is strongly acidic. Plant’s fruit serves as an effective remedy for digestive (stomach) diseases, and deals with meteorism as well. When dry fruit is characterized by sour taste and used to fight diarrhea. Flowers are also known to produce a laxative effect and reduce fever. Bark is oppositely used to treat diarrhea. In general, the plant is believed to increase sexual desire, slow the blood circulation, supply the system and give the organism additional energy. At the nutritional level, the plant is known to be rich in iron, thus increasing the amount of red cells, and in vitamin C, having it in abundance. In Ayurvedic medicine the plant is used as part of medicine meant to energize one’s organism, as it’s believed to possess life-giving force, given to Chyawan when he consumed the fruit. The plant has been applied in Indian Ayurvedic medicine since the VIIth century, and the above-mentioned remedy containing gooseberry is called Chavyanprash. Increases the amount of red blood cells. Makes nails, hair and teeth healthy and strong. Controls sugar levels in blood. Relieves one from inflammations, including those induced by gastritis, and colitis. Improves vision and solves eye problems. Rejuvenates hair and makes it healthy-looking. Aids the immune system and soothes the nervous system. Indian Gooseberry is applied as a relief for the following diseases: gastritis, fever, eye inflammatory processes, bad vision, diabetes, constipation, colitis, internal bleeding, biliousness, anemia, acidity, psychological conditions, liver disorders, intestine blockage, indigestion, hemorrhoids, heart disorders, hair problems, gum bleeding, gout, digestive system problems, worms, vertigo, urinary organ diseases, ulcerations, bone and blood insufficiency, stomach and bowel inflammations, spleen disorders, palpitation, cystitis, osteoporosis. Preparation and intake: The plant is commonly taken as a medicine in the form of seeds and leaves infusion or decoction, oils, powder, pickles, paste, confection, and liquor. To eliminate diarrhea the plant is processed to a decoction. To fight helminthes take the plant juice aided by honey in a quantity of 2 grams on average. As an appetite booster the plant is used in form of pickles, based on green fruit. To treat urinary bladder conditions amla juice is mixed with Saffron and rose water. The same combination is applied externally to one’s forehead in case of headaches. To produce a cooling effect and aid your active remedies for diabetes Indian gooseberry is used in form of seed infusion. 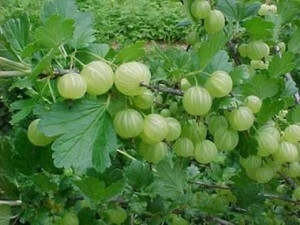 In case of difficult breathing and hiccupping, used gooseberry juice mixed with honey. Dry fruit is applied to treat dysentery, diarrhea and hemorrhage. In case of chronic conditions dry fruit decoction is mixed with T. belerica and T. chebula, and used in a dosage of one ounce two times a day. The plant is also applied to treat diarrhea in the early age. In this case it’s mixed with palelone, pipli, myrobalan, chebulic, Chitrak root, and the emblic seed. The dose is defined according to the patient’s age. Taken with warm water two times a day, in the morning, and before night sleep. Safety: Warning! In Pitta doshas the plant is linked with severe diarrhea. No more data concerning its safety is known.